and decided to stay with a Gnome theme since I have a Mark's Finest Papers stamp that I have never used. And he would be perfect for my tag. I stamped the Gnome with Memento Tuxedo Black ink and colored with Copics. I fussy cut him and placed on a backdrop of bricks. I had made the brick wall with scoring and inking for another project and had this leftover. Finished with a sentiment from the same MFP set stamped in Memento ink and added some green twine. Fun challenge! Adorable Theresa! You even made a great brick background ! 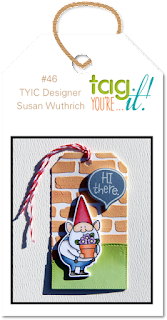 Thanks for joining us at Tag You’re It! This is so awesome! 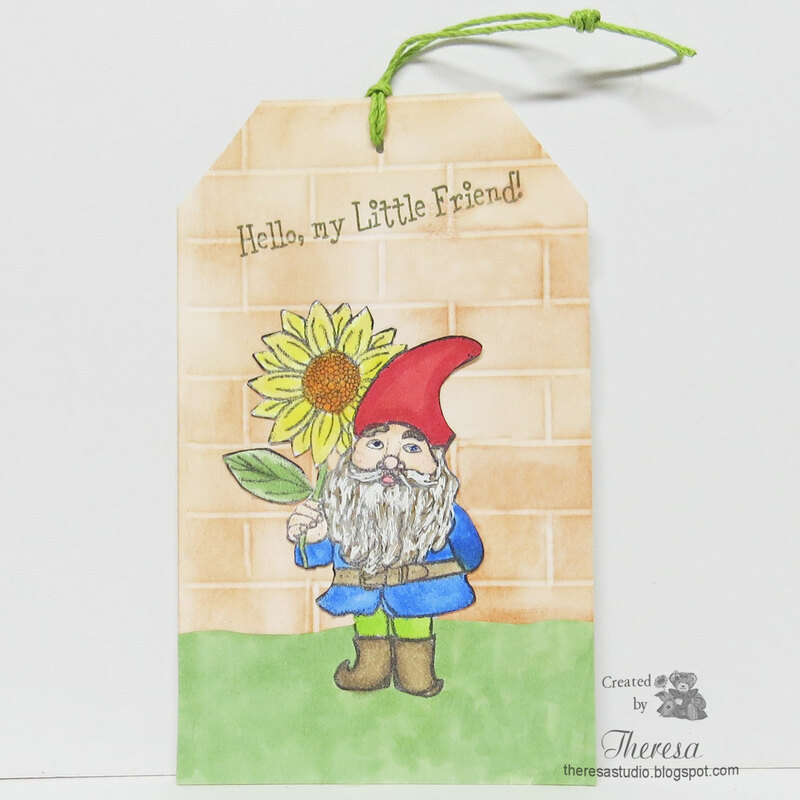 I love that the gnome is holding a big ol' sunflower! Thanks for joining us at Tag You're It!